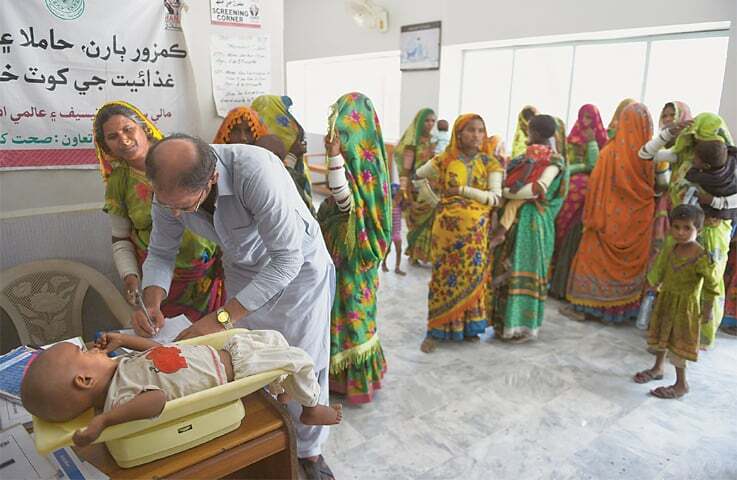 KARACHI: A frantic mother cradling her seven-month-old baby rushes to­­wards the special paediatric ward in a desolate town, the boy’s eyes are blank and he is smaller than most newborns. He is starving in a country that has no shortage of food, but which has one of the highest infant mortality rates in the world and where malnutrition is rife. The infant weighs just 2.5 kilograms — the average for a healthy child of that age is almost three times that. 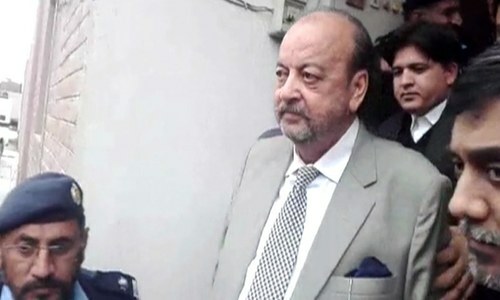 His case is not unique for the doctors at the Mithi Civil Hospital in hunger-stricken Sindh where millions survive on less than $1 a day. Of the 150-250 patients who come in each day, roughly one-fifth are suffering from malnutrition, says Dr Dilip Kumar, head of the paediatric department. 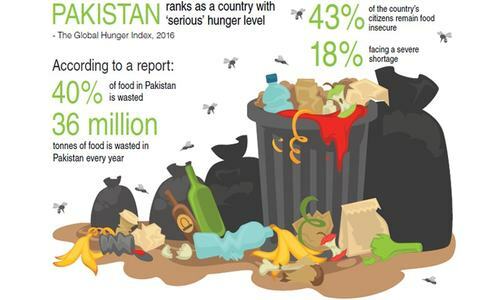 The International Food Policy Re­­search Institute (Ifpri), a poverty and hunger watchdog, estimates around one in five of Pakistan’s more than 200 million people are malnourished. And yet, the nation is not short of food — in fact, accord­­ing to the US Depart­ment of Agriculture, it is projected to export 500,000 tonnes of wheat from May 2018 until April 2019, and 7.4m tonnes of rice in the same period. A newspaper even reported a potato glut earlier this month. The issues, experts say, are socio-economic — that is, just because food is available, does not mean people can access it. 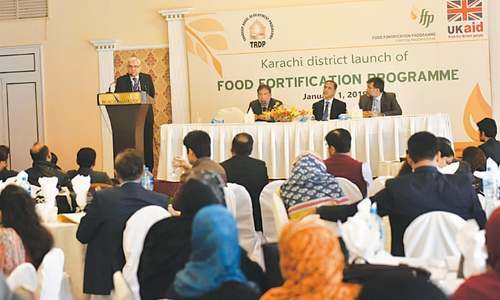 “There are four key pillars of food security in Pakistan: The first is availability, then accessibility, utilisation and stability,” says Dr Am­­b­reen Fatima, senior research economist at the Applied Economic Re­­search Centre of the Karachi University. 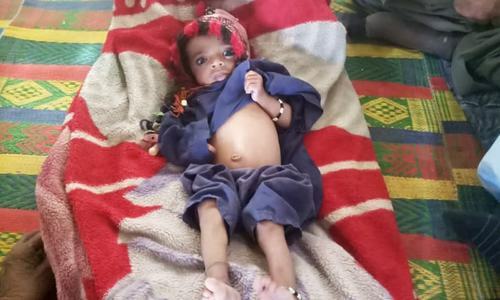 In Tharparkar, where Mithi Civil Hospital is located, all four are lacking, she explains, adding that in other parts of the country they are present only to varying degrees. “Pakistan is quite well off in wheat production,” comments Dr Kaiser Bengali, a veteran economist, who has done field research on poverty and hunger, but adds that much of it is sold for export. “Affordability is the biggest challenge here in Pakistan,” he says. Even in cities like Karachi, Ben­gali says he has seen alarming examples of poverty and deprivation. “In our surveys we came across the kids who had never eaten an apple, and when we offered him an apple he was reluctant to take the bite wondering whether it was an edible thing or not,” Bengali reveals. “In another case a family had never had eggs in their whole lives,” he adds. A survey of Planning Division in 2017 found that 40 per cent of the country’s population lives in multi-dimensional poverty. That means they are not just short of money, but are also facing a shortage of basic needs, including health, clean water, and electricity, among other factors — all of which can impact their access to food. “Poor physical infrastructure, particularly in the remote rural areas throughout Pakistan, is also a limitation on access to food and influences market prices,” according to a recent statement from the Food and Agriculture Organisation (FAO). I guarantee when people are starving revolutions happen. The Russian and French Revolutions are examples. So far we can feed everyone, but as we can see there is danger of failure. Food is abundant, distribution is unjustified. The child is too big for the scale shown above. There should be a standing scale for this child but I guess those making healthcare decisions have no idea what is going on. @Jamal, I am not defending any party or leader. But, we can not blame only political leaders for all failure. In the last seven decades, different governments and political leaders were removed and put in jails. This is still repeating today. But, we were not able to correct our system. I think this will be continue till we are not identifying the main route causes of all the problems.